The NET5404T-OCP is a 4 channel encoder from Pelco that is suited to integrate a positioning system and analog cameras to make an IP surveillance video system for high versatility and flexibility. The NET5404T-OCP encoder comes with NTSC/PAL video standards, a sheet metal construction, open standard based architecture, G.711 audio encoding, integrated Pelco D PTZ and Coaxitron protocol support, as well as SNMP support, and dual stream video to 4CIF @ 30/25 images per second. The NET5404T-OCP encoder also features a Linux operating system, an OSD on/off option, 1/2/4 channel modes, a gray metallic finish, PoE, plus analytic alarm triggers, and a 64kbps audio bit rate. 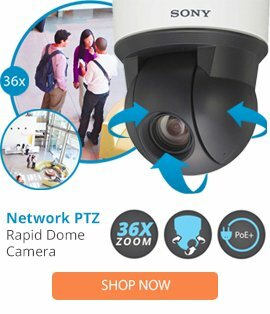 This security camera is designed to provide a simple installation, and can be used in a range of areas for exceptional performance.